I found it all right here in New England, on the coast of Maine. Portland Sea Dog game mixed in between. brightness of the sky, but it certainly seemed different than back home. most were priced between $100-$200 dollars per night. bar and grill restaurants, open air cafes, as well as Cuban and Italian cuisine. offering a glimpse of its splendor at sunset, fostered a very nice ambiance. 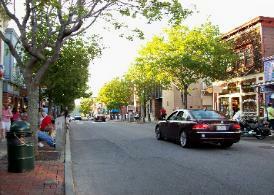 We spent the following morning casually strolling about the downtown area. serving very tasty sandwiches and paninis in a (surprise!) brown bag. there is the jewel known as Acadia National Park. Visiting Acadia was the portion of the trip that I was most looking forward to. visitors to the summit are the first in the United States to see the rising sun. the North Ridge by car). From here, we began our ascent. Harbor and it tantalizingly blue skies and water. with access to trails and Saturday carriage rides. trek down the coast to Portland. remember the Penobscot Bay area, and Lake St. George State Park. 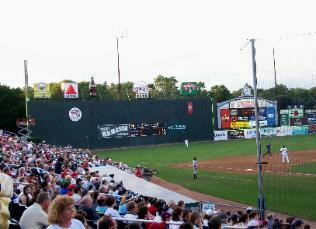 the park’s design has the charm and feel of the legendary Fenway Park. outdoor grill was also available in addition to the standard ball park fare. 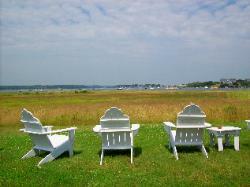 between the Saco River and the Atlantic. hotels, restaurants, or businesses there. small dining area in the back of the store. for people looking just to get away. 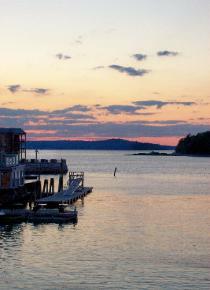 for New Englanders looking to explore our own great big backyard.